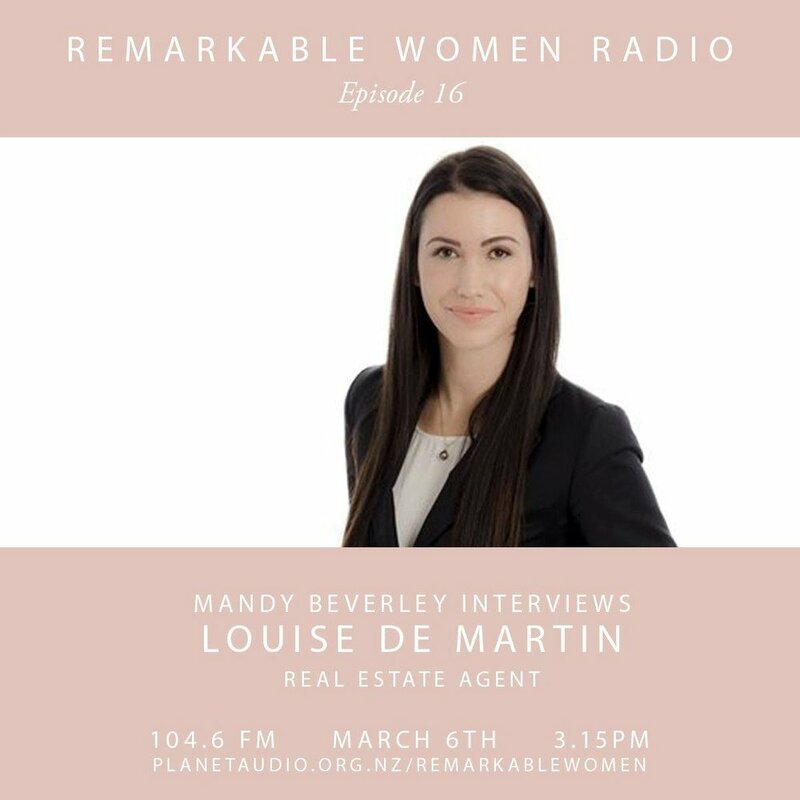 In this episode of Remarkable Women Radio I talk to Louise De Martin from Bayley's Real Estate. We hear how this ex marketing manager is really enjoying the transition into Real Estate after a career helping other companies get noticed. Louise is someone that you really want on your side when you make the big decision of selling your home. Balancing a family and a demanding career is something we talk about.